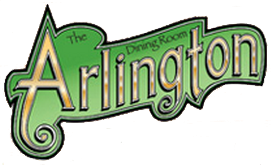 At the Arlington Dining Room, we pride ourselves on our fresh ingredients, homemade/from-scratch cooking, and family recipes. Join us for lunch or dinner…or have a snack at the bar. Need food for an event? We cater for 5 to 5oo.